WorldPay Reviews - Is WorldPay Best For Your Processing? WorldPay offers international credit card transaction processing solutions for the online retailer as well as for larger corporate needs. If you take payments online or by phone or mail, WorldPay offers transaction programs that accept all the major credit cards with competitive rates and fees. With an additional focus on service for small to medium sized businesses the Wordpay credit card processing system offers payment solutions for the beginning online retailer to the established power seller. With currency support and online service WordPay might be the right solution for your next transaction. Our non-profit had difficulty with WorldPay, but in the end, they worked it out for us. Could have just been one rouge representative. She hooked us with a special deal for non-profits that you could put your account in “hibernation” (no monthly fees) between charity events (Non-profits ususally use their merchant accounts once or twice a year at events so many places offer this service) She told us that the account would automatically shut down after 30 days of use and that would could use it one month a year indefinitely. Our event went well, but after the month of using our merchant account, not only did it NOT go into hibernation, but we were told that we had to continue to pay the monthly fees or risk a HUGE cancellation fee. 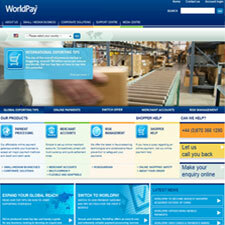 We have used world pay for few years with no negative issues for our online or retail divisions. We need to find a new provoder for our online as we are planning to use Stoneedge Order manager, however world pay will not integrate with same. Otherwise we would even consider changing.